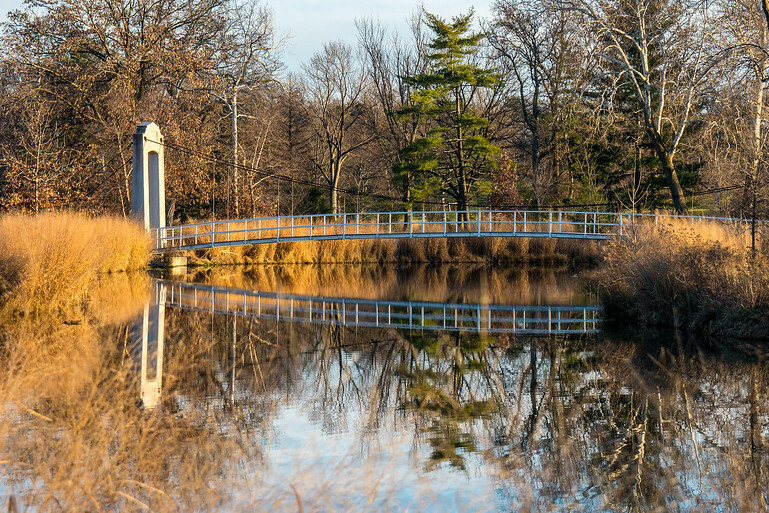 Forest Park in St. Louis is so nicely maintained that it even looks great in the winter. This is an old footbridge along the waterways that run through the Park. This bridge sways so much that my Basset Hounds refuse to walk on it! This was taken at sunset (50mm, f6.3, 1/250 sec).